Shiny metallic vector illustration of cutlery objects. Spoon, knife and fork with glossy finish and realistic metal surfaces. Free vector illustrations to use in all your kitchen, cutlery, utensils, knives, spoons, forks, eating, tables, restaurants, cooking, chef and food design projects. 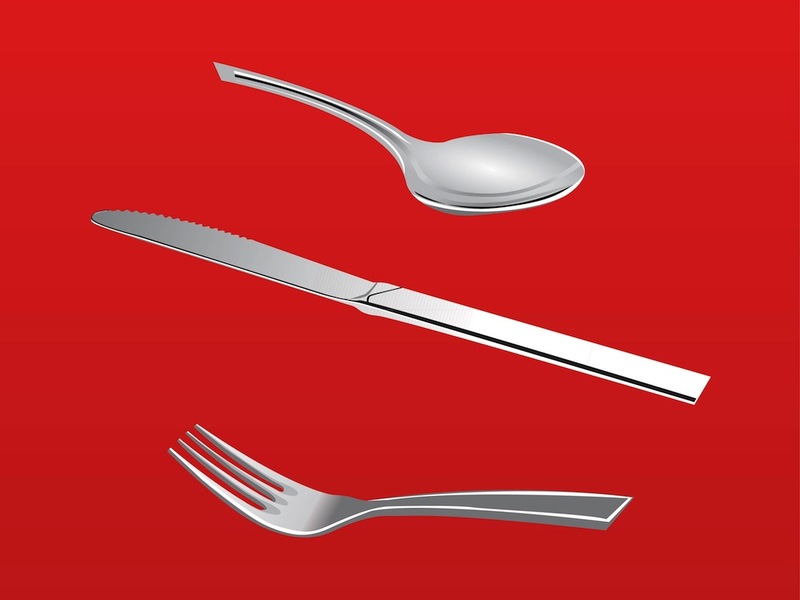 Download realistic metal cutlery. Tags: Cooking, Eating, Fork, Kitchen, Knife, Metal, Metallic, Restaurant, Spoon.